Neighbours in communities across County Durham are being urged to look out for each other as part of a campaign to tackle rogue traders. Durham County Council’s Trading Standards team will be asking residents to spot the signs of unwanted doorstep callers by asking: Are you a good neighbour? Do you want to protect vulnerable people from rogue traders? It comes ahead of National Consumer Week 2014 – an annual campaign, which this year is focusing on being a good neighbour to help stop bogus callers. Despite the major under-reporting of doorstep crime nationally, latest research shows that there are as many as 170,000 incidents every year. Doorstep criminals exploit vulnerable citizens by convincing them to pay for shoddy or incomplete repair work, charging extortionate fees for their services, or intimidating residents who do not comply. • Have traders been cold calling in the area or putting flyers through doors? • A van parked nearby – particularly those without company names or details. • Building/maintenance work starting unexpectedly on a neighbour’s house. • Visibly poor quality work. • A distressed or anxious neighbour. • A neighbour visiting the bank, building society or Post Office more often – especially if they are accompanied there by a trader. • Ask your neighbour (in private) if they are ok.
• If your neighbour is concerned, contact a relative or carer on their behalf. • Note down any registration numbers of vehicles seen outside their home. • Keep any flyers you have received. • Contact the police if traders become intimidating or threatening. 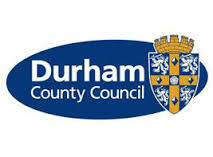 Joanne Waller, head of environmental health and consumer protection at Durham County Council, said: “We are reminding residents of the importance of being a vigilant and good neighbour – especially if those living close by are elderly or vulnerable. If you suspect a doorstep caller could be a rogue trader call the Consumer Helpline on 03454 04 05 06, Durham County Council’s Trading Standards team on 03000 261 016 or email tradingstandards@durham.gov.uk. You can also call police on 101.